My map of Panem. 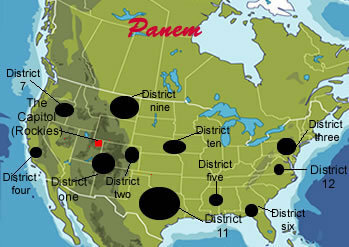 This is my idea of where the districts might be in Panem. What do tu think? I've included a bit about why I think this below. :D. Wallpaper and background images in the los juegos del hambre club tagged: katniss hunger games peeta gale the hunger games map.